An attractive and extremely quiet kitchen exhaust fan, the 36-inch Cyclone canopy range hood offers the perfect balance of substance and style with a curved glass accent. It features dishwasher-friendly filters that never have to be replaced, three-speed push button controls, a timer-delayed off mode and a 550 CFM fan. The graceful contour of the arched glass canopy coupled with the brilliant shine of the stainless steel body give off an impression that is simultaneously modern and classic. 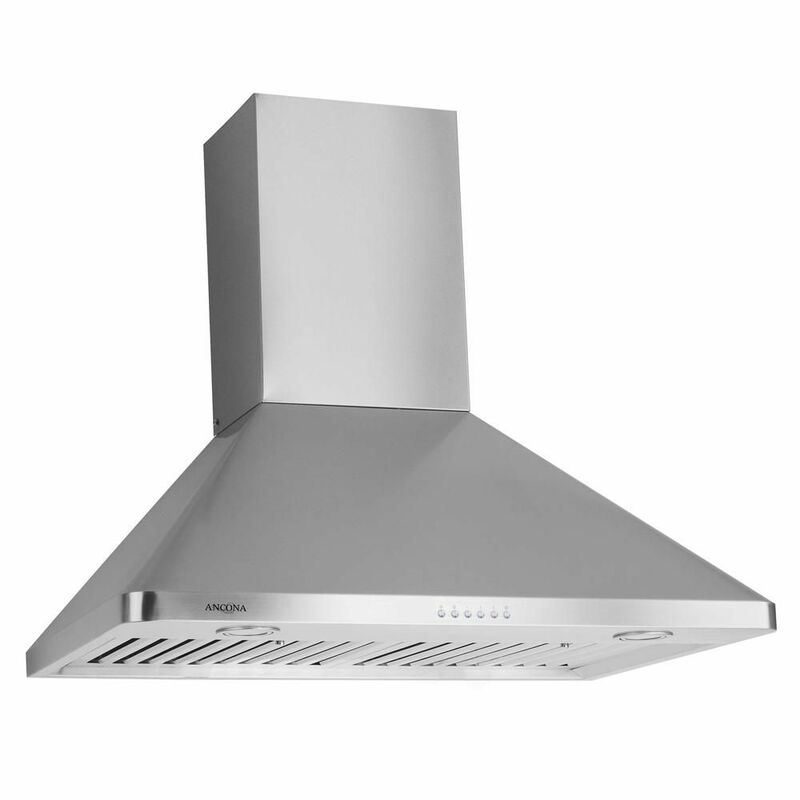 This GE Profile 30" Wall-Mount Glass Canopy Chimney Hood in Stainless Steel has external or recirculating venting capabilities. This hood will effectively remove smoke, grease, odour, and moisture. Dishwasher-safe filters allow effortless cleaning. Sporting a bold, dramatic look and state of the art features, this collection provides the perfect combination of style and innovation throughout your kitchen. WPC 630 Wall Chef 30 inch Range hood with LED lights Let Ancona chef series bring the high standards of professional range hoods to your home. Made with commercial grade stainless steel, the model combines power and elegance featuring stainless steel baffle filters, 4-speed electronic controls and led lights. Ancona's professional design delivers quiet yet powerful ventilation and easy-clean convenience.